If a picture is worth a thousand words, then immersive imagery through Virtual Reality headset must be the optical equivalent of JK Rowling’s bank account. The Visualisation Specialists at Boffa Miskell put their skills to work on behalf of Wellington Water during public consultation for the construction of a new water reservoir. The Omāroro Prince of Wales Reservoir Community Engagement Programme was designed to grow community acceptance of a controversial new bulk water storage reservoir to be built in Wellington City’s urban green ‘Town Belt’; an area protected by statute and close to residents, historic buildings, a major university and social housing areas. Boffa Miskell are the project landscape architects and ecologists and are currently involved with implementing the reservoir through detailed design. The reservoir is crucial to improving the resilience of the city’s water supply; however, public opposition threatened to derail the project during the statutory environmental planning ‘consent’ process – of which community consultation is an essential part. 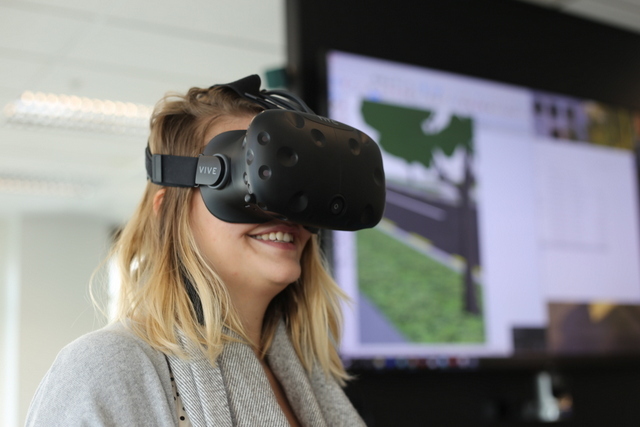 In response to residents’ concerns about the visual impact of the reservoir, a Virtual Reality experience was developed by Boffa Miskell’s visualisation specialists, so people could ‘see’ how the reservoir would look on site during three phases of its life. While the Town Belt will be significantly impacted during the construction of the reservoir, following completion it will be fully buried and difficult to see except for a tunnel entrance and some access hatches. The virtual reality experience assists with the community understanding of this, as it shows the site in its current state, how it will look during and immediately following construction and five years after completion. The engagement strategy of the project has been nominated for an International Association of Business Communicators Gold Quill Award. These awards recognize excellence in strategic communication worldwide.